Sheriff’s deputies in Los Angeles saved Christmas for a family who had their gifts stolen last week. One of the gifts was an iPad that had already been activated and therefore traceable. The Christmas miracle began on Sunday morning where a 49-year-old man reported to police that someone broke into his home and stole several items, including the iPad. Luckily, the owner is smart and decided to track the device. 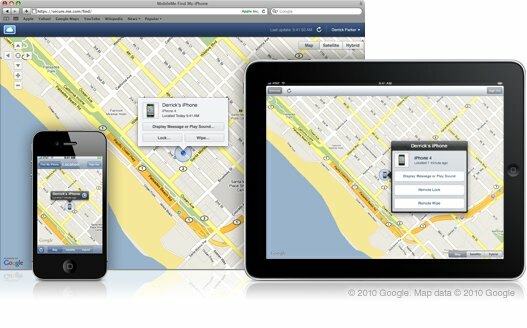 The victim called police later that morning and told them the iPad was signaling that it was only a few doors down. The police then arrested Patrick Krewson, a 20-year old thief, right at the location. While at the house, police retrieved the iPad and all the other missing gifts and gave them back to their rightful owners. There was also something more at the house, police discovered that there was a collection of other items that had apparently been taken from another house days earlier. The thief is now in custody with a $50,000 bail.